Below you can view all the homes for sale in the Warrenton subdivision located in Alpharetta Georgia. Listings in Warrenton are updated daily from data we receive from the Atlanta multiple listing service. To learn more about any of these homes or to receive custom notifications when a new property is listed for sale in Warrenton, give us a call at 404-998-4017. 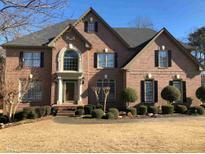 2 Story/Open Foyer, Private Dining, Open Kitchen/Living Room, Hardwoods/Bedroom/Full Bath On Main, 4Br/3B Upstairs, Private Bedroom Suite In Basement With Living/Rec Room And Ample Unfinished Space For Storage/Workshop. MLS#6536863. Coldwell Banker Residential Brokerage. Close To 400, Alpharetta, Johns Creek Shopping And Dining! MLS#6530217. Compass. This Home Is Close To Big Creek Trails & Walking Distance To County Park & Only A Few Steps To Swim/Tennis. MLS#6511382. Virtual Properties Realty. Biz. Don'T Miss Your Opportunity To See This One. MLS#8447997. Re/Max Professionals. Don'T Miss Your Opportunity To See This One. MLS#6067976. Re/Max Professionals.